The paper deals with the information processing structure of the subsystem for space-time geodynamic forecasting of geological environment. The structure under discussion aims at obtaining the predictive function of the geological environment caused by natural and man-made factors. Upon receiving the predictive function a number of factors should be taken into consideration: hydrological and thermal noise, the degree of karst-developed area, the reasons for karst process development, human impacts on soil as well as environmental factors affecting the soil deformation. The structure of the information processing subsystem prediction fits well with the modular and service-oriented architecture of the geographic information analysis system. The structure can be easily expanded by connecting new measurement systems and databases to a distributed system of global geo-environmental monitoring. Keywords: geoelectric monitoring system, monitoring system, geo-ecology, geo-ecological monitoring, forecasting. Dorofeev N.V., Orekhov A.A. Organisation for Geographic Information Analysis System of geo-ecological monitoring // Radio Engineering and Telecommunication Systems, 2012, № 2. – P. 53-56. 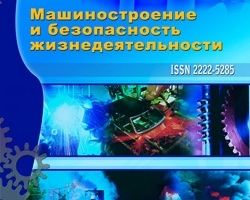 Orekhov A.A., Dorofeev N.V. Information-measuring system for geoelectrical monitoring of geodynamic objects // Radio Engineering and Telecommunication Systems, 2012, № 2. – P. 60-62. Tsaplev A.V., Kuzichkin O.R. The use of a regression process to compensate for temperature interference in the geoelectric monitoring // Radio industry, 2012, № 2. – P. 147-153. Orekhov A.A., Dorofeev N.V. Investigation of the influence of the groundwater regime in the geodynamic control objects // Algorithms, methods and data processing systems, 2012, № 21. – P. 46-52. Orekhov A.A., Dorofeev N.V. Algorithm for correcting the influence of hydrological disturbance on the geodynamic control objects // Algorithms, methods, and data processing systems, 2012, № 22. – P. 74-78. Orekhov A.A., Dorofeev N.V. Geoelectric modeling underground water objects // Engineering industry and life safety, 2012, №4. – P. 16-19. Gittis V.G., Ermakov B.V. Fundamentals of spatial-temporal prediction in Geoinformatics // FIZMATLIT, 2004.